Cheap Pirate Costume including shirt, trousers, belt and headscarf. 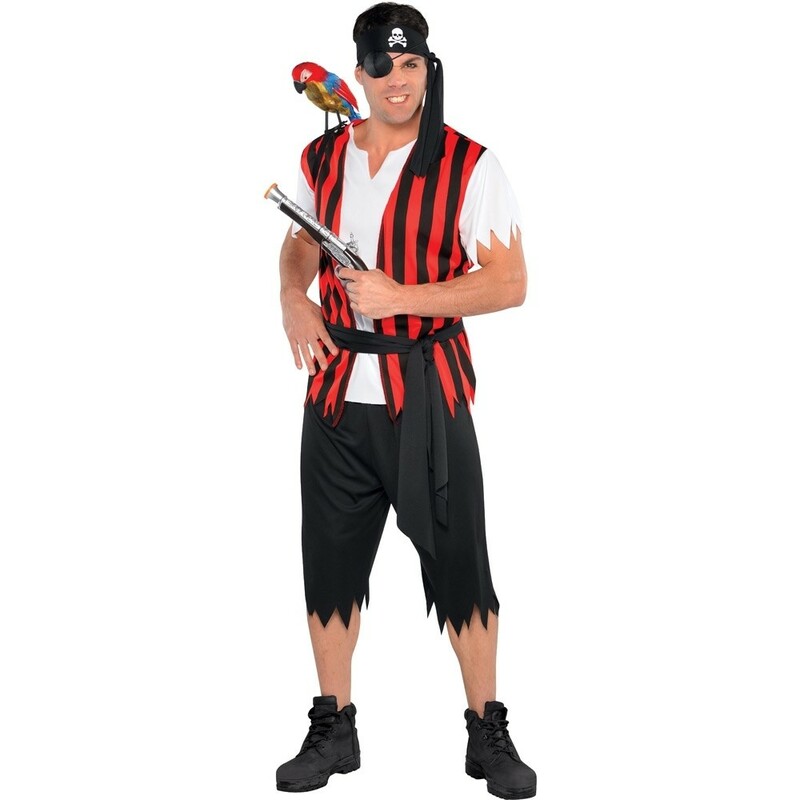 Cheap Pirate Costume features a classic pirate shirt with jagged sleeves and an attached red and black vest, this pirate costume is surely seaworthy. Pull on the cropped black trousers and matching skull-and-crossbones printed headscarf and to finish this Cheap Pirate Costume comes with the black belt. Shirt, trousers, belt and headscarf.